It's taken me some time to realise how useful something like this - but recently I've noticed how versatile a good utility jacket is. It has a lot to do with certain bloggers like Atlantic Pacific, The Marant Philes and The Fashion Guitar posting fab outfits, which encouraged me to try mine out with more. I have two, one classic Barbour number (please tell me a true Brit who doesn't possess one of these?) that smells horrendous after 30 years (it was my mother's) of country walks but I kind of love it that way, and the other (more city worthy) is from Gap - I bought it in New York last year when the weather in August played tricks on me. Jackets like these are so useful in Britain - our weather is, for want of a better word - sh*t. One minute it is glorious sunshine, the next its tipping it down. Utility jackets are lightweight enough for summer evenings, and (usually) waterproof enough to get you to your car/tube station/cab. I'm a big fan of wearing them with delicate dresses and heels - it totally confuses the military-ness of the jacket. They look fab with coloured trousers too - and go well with things like the breton tee, the leather trouser and the white sheer shirt. Overall, it's the kind of piece you wont struggle to create outfits with - you'll probably find (like me) that you'll just find yourself wearing it all the time by accident. Especially in spring/summer/autumn. Zadig and Voltaire - every time I go into this shop, I find a valid reason to spend money. These guys know how to make excellent capsule piece. Including this jacket, for around £280 here. Barbour - Aaaaah this old favourite. 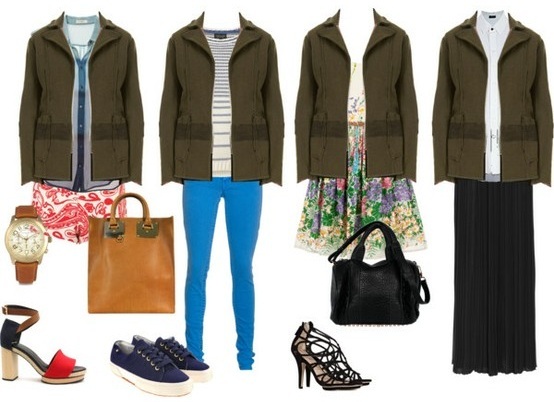 Barbour's are Britain's only acceptable rainwear (I mean pouring rain, light rain allows trench coats!) Buy it here for £300. FYI - have started a pinterest board for all my Essentials, check out the utility jackets one! Can you do a post on the essential white shirt, please? I always think of Olivia P when I think of this style of jacket. I used to own a green one when I was younger and it really did go with lots of things. I think my style is different now but I can't deny there is a lot of inspiration here to buy another! love this post!! 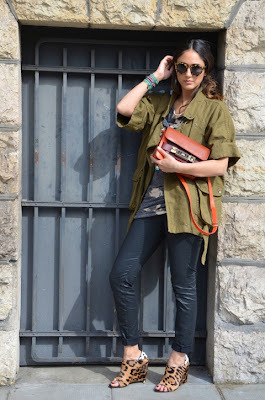 Cargo jacket it is so versatile !! I am not missing the weather in UK!! 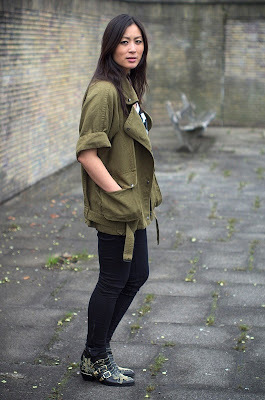 Utility jackets are one style that I just can't get enough of! I love them! They can totally transform an outfit and there's just something about that's just so cool! Great post!